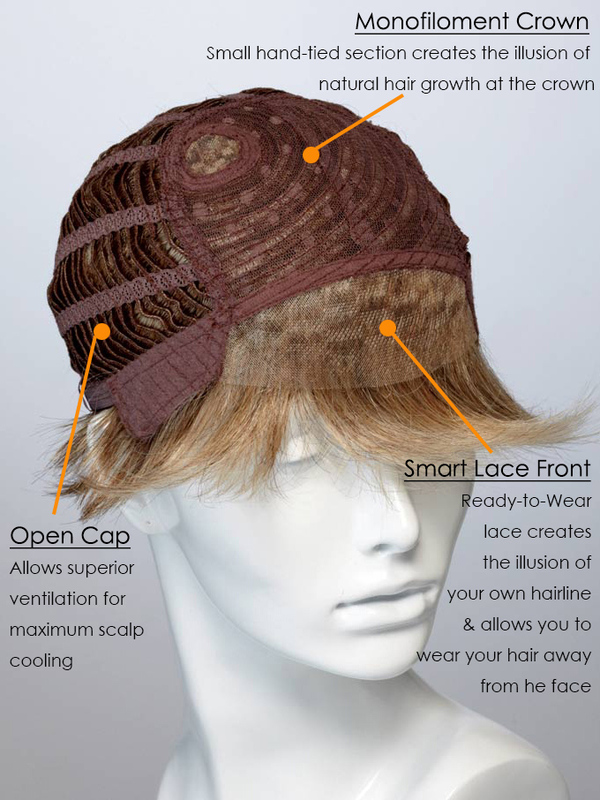 This is a short wefted wig that is versatile to suit all ages and has many different styling options. The lace front short wig gives a natural looking appearance and is made in a wide range of blended colours ensuring a colour match for everyone. This is a really great wig! top quality, soft, light weight and realistic.. plus you can style her in so many ways.. from smooth and sleek to wild! I have the chestnut brown. I have hair condition Alopecia and lost most of my hair. Ordered Zest in 12 colour, and just loving it. Looks young and refreshing and everybody is commenting about my "new hairstyle". I’ve been wearing wigs for years and this is the best wig I have ever had. The construction is solid and it feels great when it’s on. The picture does not do this wig justice, its much nicer in person. It’s easy to take care of and very versatile in styling options. I get tons of compliments when I wear this wig and I even went into a salon to get the bangs trimmed when I first got it and she didn't know it was a wig, now that's a compliment!